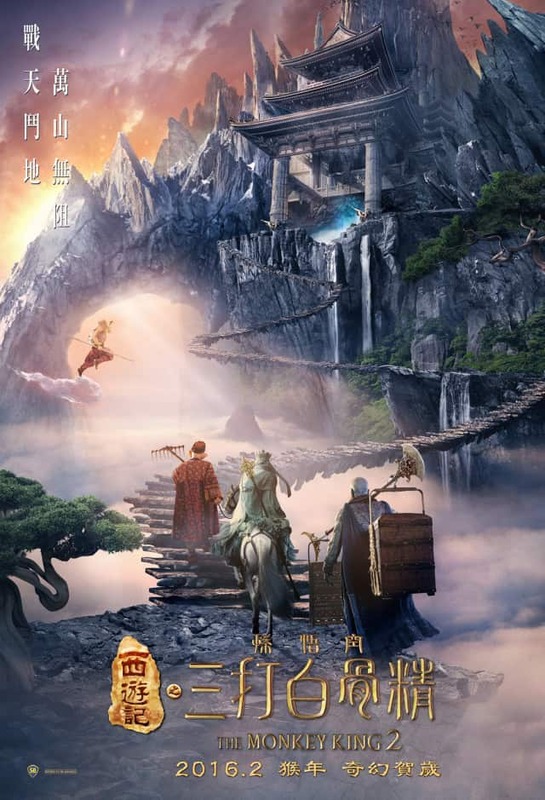 In the sequel to the 2014 box office hit The Monkey King, the White Boned Demon (Baigujing) constantly attempts to prise Tang Sanzang for his meat, forcing the Tang Priest and his disciples, Sun Wukong, Zhu Bajie, and Sha Wujing to delay their journey on the quest for the sutra. Joining Aaron Kwok (‘Sun Wukong’) are Gong Li as ‘The White Skeleton Demon’; William Feng as the holy monk ‘Tang Sanzang’; Xiao Shen Yang as ‘Zhu Bajie’; and Him Law as ‘Sha Wujing’. Soi Cheang again directs, with Sammo Hung in charge of the action choreography. The Monkey King 2 opens in Singapore on 4 February 2016.